Our mission is to provide community development and well-being opportunities to improve health and happiness. Inspired by the Olympics, this is the Olaughics! , a participatory festival with its very own championships! 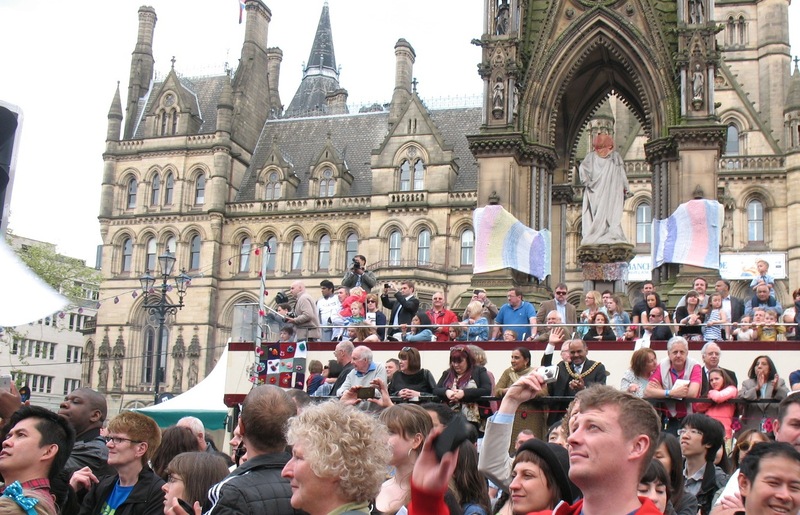 Founded in Manchester in 2012, it is a UK-wide week of laughter activities. From the Olaughics, with Helen Gibbons of Eventful,and with an Awards For All grant from Big Lottery Wales, we have developed for 2013 LaughWales, a community programme, including Wales National Laughter Day. 2014 will see the further development of Scotland National Laughter Day with Jo Bluett and Laughter For Health. We are also developing ideas for Northern Ireland National Laughter Day with Michelle Major of The Sunshine Project, and an England National Laughter Day too. All of these days currently fall within the Olaughics week. We have teamed up with Rev David Gray from Creoginity to create Laughter For Men! David is an inspirational community leader in Manchester. We are working with Keith Adams of Laughter Aspirations to create Laughter For Leaders! Keith is an experienced Life Coach and trainer in Carlisle. We are working with Lisa Sturge of Laughter Lines to deliver a personal development course, Exploring and Understanding Laughter. Lisa is an experienced teacher and Personal Development Coach in Bosham. We have developed Laughter On Prescription, a chance to benefit from the cumulative effects of weekly sessions over a period of time. Based in Frankfurt, the festival shows films which present positive images of older people. 2013 saw us join as the UK partner, using laughter as an icebreaker for guests at the Miners Community Centre before the film. In 2014 we will develop our participation, bringing more films to community groups particularly in Greater Manchester, but also anywhere in the UK. Start each day with a laugh! And be part of a wave of laughter travelling forever around the world! Founded by World Laughter Master Belachew Girma (Africa), Dr Santosh Sahi (Asia), and Robin Graham (Europe). Join us in Ethiopia each year for Ethiopia Laughter Day, led by World Laughter Master and inspirational laughter therapist Belachew Girma! The Art of Living Foundation teaching breathing techniques and simple wisdom to help us live a less stressed and happy life. It is one of the largest volunteer based NGOs in the world. Robin is a volunteer teacher, and leads the Art Of Happiness program. Manchester 5-day course is 23rd-27th April 2014. It is not right that people should get their drinking water from a pond that cattle use as a toilet. But this is still sometimes the situation. We have set up WOW Water to raise awareness in the UK about the value of clean drinking water, and to raise money for clean drinking water projects in developing nations. Kids Foundation Inc is an NGO in the South Tongu district of Volta Region, Ghana. It was set up to empower women and children, thereby tacking issues such as child trafficking, lack of education, and poverty. We offer our support.